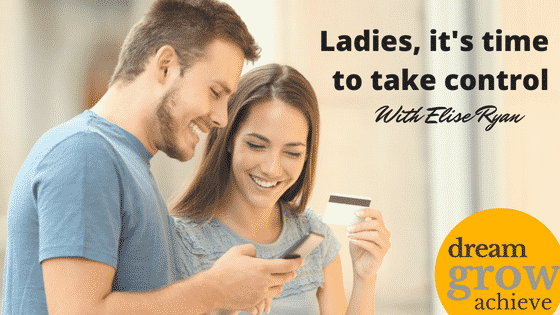 Ladies, it’s time to take control! I was reading an article entitled ‘More women will end up alone and managing their own money’ by Georgina Dent in The Age¹ and was astounded at the lack of confidence women have in their abilities. You shouldn’t need a man or spouse to provide you with a sense of financial security, your knowledge and understanding of your finances should be all the security you need. It can be as simple as understanding where your money is going and track your expenditures, it isn’t even hard these days you can do it on an app on your phone. It is common in a relationship for one person to take the lead with the finances, like with a lot of household tasks. However, you are a partnership and should have an understanding of what is going on and not just leave it up to the other person so there are no surprises as to your financial position. It is interesting that this trend is not changing with millennials, with the greater focus on women’s independence there is no trend in women stepping up and taking control of the finances, they are behaving quite primitively. My experience from growing up is that the overall finances was a team effort. My Mum did the grunt work of paying the bills and banking but both Mum and Dad together with their Financial Advisor would look at the strategic side of things. My relationship with my Fiancé is no different. James is happy for me to look after the day to day but he wants to be involved with the long term strategic planning. Women should be paying more attention. We live longer, tend to have more gaps in employment and average lower pay throughout our careers. This means that at some point in time we will need to be the ones in control and making the decisions. Don’t know where to start, book an appointment with a Financial Advisor, find someone you can trust and identify with. They should help educate you and not make you feel dumb or silly for asking questions. Worrying about how much advice will cost or thinking that you don’t have enough money shouldn’t be a barrier for booking an appointment. ¹ The Age 17/06/2018, More women will end up alone and managing their own money, Georgina Dent. Whether you are single or in a relationship, one thing we all have in common is that we are juggling many roles all at once. I learnt quickly that once you begin to add little munchkins to your clan, the number of balls that you are juggling dramatically increases. When I thought I had achieved some rhythm to my new found skill of juggling, it was time to return to work. 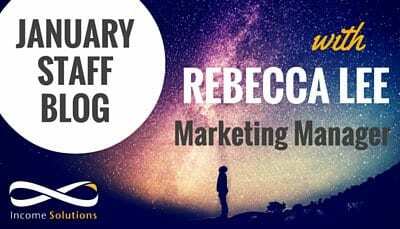 I had no idea what I was in for in regards to the level of organisation it would require trying to fit in my own personal time, setting goals for now and later, while continuing to run a house! Returning to work is a big decision. For some it is financial and for others it is to assist with self-fulfilment. Whatever the reason, finding the right work life balance is crucial. There is no right or wrong level of work life balance. The solution that works for your family is individual. Following returning to work, I began to experience guilt. Guilt for not being able to spend more time with my little ones, that I wasn’t completing as much at work as I had (in comparison to my old, full time employed, child free self), that the house wasn’t as tidy as it used to be and the list goes on! I had to find a way to put a positive spin on what I was doing and the reasons as to why I had returned to work. I realised it was to achieve my goals! Our goals often take second place to day to day activities, however even without realising it, it is another one of those balls we are juggling. Understanding and knowing why I was back at work and the benefits my employment brings to myself and my family was very important, empowering and motivating. Without goals, it is easy to question why. It helps you stay on track towards reaching those goals which are important to you. Also, it is hard to know if you are on the right track, if you don’t know where you are heading. Goal setting doesn’t just end with the things you want to do in the next 12 months. Goal setting should include what you and your family want to do in 5 years – family holidays, education for your children, a new car, when it is that you and your partner would like to stop work or wind back into retirement. As far away as these milestones may seem, without having an active plan in place, time will continue to fly by. Without a solid plan our goals rarely materialise. Planning your exciting goals and aspirations doesn’t have to be a weighted time consuming ball that you have to learn to juggle along with everything else. It is easier than you think if you work with someone who can help you plan and keep you motivated. It is very rewarding when you realise you are actually living and experiencing the achievement of the goals you wrote down. We use systems all the time without realising. Just like we put systems (well try to!) in at home to make our home life easier, it is vitally important to establish systems that ensure your money is working for you, and your family. Something as simple as structuring your banking correctly can have a big impact on how hard your money works for you. Now that you are back at work and earning additional money to put towards your household, it is important to ensure that all the sacrifices that have been made to earn this money have not gone to waste. You need to ensure that your hard earned money is working for you. I have written about my own personal experience, as a Mum working part time. 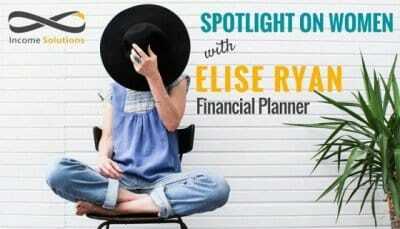 In my professional life I am a Financial Planner with Income Solutions. 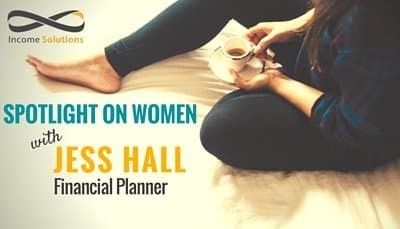 I regularly hear stories just like mine, which provided me with the motivation to create a tailored presentation for women which provides some examples of the impact receiving financial advice can make to your day to day lifestyle as well as your long term goals. For more information, book a one-on-one meeting or a workplace Income Solutions for Women session. Invest in yourself – it could be the best investment you’ll ever make! Please note: The advice in this article is of a general nature only and has not been tailored to your personal circumstances. Please seek personal advice prior to acting on this information. In December, we at Income Solutions held our End of Year Event in Geelong and Melbourne to say “thank you” to our wonderful clients. Every year we have a theme and this time it was “Adversity and Perseverance”. What does that have to do with Financial Planning? Well, in terms of “hanging in there”, quite a lot really. In a complex world with billions of inhabitants, we often find ourselves needing to be tough in order to get by – and some have it much harder than others. One of our guest speakers at the event was Moira Kelly; an amazing humanitarian who thinks nothing of entering a war torn country to help sick and injured children receive adequate medical care and a warm bed. Her list of achievements and awards from 1986 onwards would make most of us feel incredibly guilty for complaining about a bad hair day or not having a nice enough car. Moira is one of those special people with a very interesting psyche that not all of us are born with. As a little girl, she wanted to work with Mother Theresa to help those in need. At the age of 18, her wish came true. However, Moira made it happen. She willed it to happen, but also planned and took the necessary steps to make her dream a reality. A timely example of this level of perseverance is Mr David Bowie and his rise to fame. This week I watched a documentary on his journey to creating the Ziggy Stardust character. I like to think I’m quite knowledgeable about music artists, as my preferred literary genre is the music biography. However, I wasn’t entirely aware of just how long it took Bowie to score a hit single and sell a decent amount of records. As David Jones, he formed his first band at 15, at 20 he released a strange novelty single that flopped, followed by a string of unsuccessful singles. It took Bowie ten years to become the huge star and incredible artist we know and love (and mourn) today. The level of belief in himself and his talent is what eventually made him one of the most influential music artists of all time. Most musicians would have given up during that ten year period. So how does adversity and perseverance apply to you and I, in our everyday lives? We don’t need to be a Moira Kelly or a David Bowie to reach our goals. However, if we want to live a fulfilling life and do the things we love, we have to “hang in there” sometimes. Are you in the right job? Do you even like it, let alone love it? Would you consider going back to study to get a job you really want? Are you currently earning what you deserve? In terms of finances, is your money working for you? How (if at all) is your money and super invested? So many questions to ask ourselves! Sometimes we have to change a few things in our lives to get on the path we should be on. Some of us will face adversity, most of us will need to persevere – but we only get one shot at life. At Income Solutions, we’re more than just financial planners – we believe that investing in yourself and doing what you love is the key to a happy and fulfilling life; and we talk to our clients about this every day. Are you just starting out and want to find out about putting a plan in place to secure your financial future? Perhaps you just want to learn more about how your hard earned cash can be better invested? We have a range of free information sessions held in our Geelong and Melbourne offices which cater for everyone. It doesn’t matter how much you earn, or where you are in life, you can make some informed decisions and sensible choices to help design yourself a life that you can be passionate and excited about. So, get in touch! As a young professional, retirement seems so far away. I’m busy trying to achieve the balance between work, study and a social life, so as to enjoy what many would call the ‘prime’ of my life. Women are living longer than men, are still getting paid less than men, and are more likely to have gaps in employment due to taking on ‘carer’ roles. Consequently, we as women, generally have less superannuation and other investments. So although my retirement may not be in my immediate future, the financial planner within urges me to plan – especially because I am female. Everyone’s plan is different but the basics are the same. At Income Solutions we believe the best investment you will ever make is in yourself. Further education offers you a great advantage over your colleagues. It can give you the confidence to apply for that promotion, or to request a pay rise and breach the gender pay gap. Whilst working full-time and studying is not an easy feat, once you have achieved a balance it is definitely worth it. Develop a budget. I know budget sounds like a dirty word and no one wants to know how much they spend, but it is important. It is not about not spending money, it is just about knowing how much you do spend. It is one of the most important aspects of your plan. Many of the banks now have budgeting tools in-built with your internet banking and this is a great place to start. You can’t plan to invest in the future without knowing how much you spend. Another vital part of your plan should be protection. People don’t question insuring their car or their house, but if you ask them if they have Income Protection they don’t understand why they need it. You are the money machine, and if you are not able to work and earn an income where is the money going to come from? Insurance is important. It is no longer your partners or parents responsibility to safeguard your future. You are an adult, and you need to take responsibility. Insurance is easily obtained and some of it can even be funded through your superannuation. Now comes the fun part; planning. Think about your goals. Write them down. The best way to keep yourself accountable as you are progressing towards achieving your goals is to have them written down. My goals have always been to travel and I have been fortunate enough to see quite a bit of the world. The downside to this is that the list of places I still want to visit keeps getting longer. I know I am going to need to work hard and invest to have an income large enough to support this lifestyle. Family is also important to me and I would like to have one of my own one day. Due to this I know that I will fall into the same situation as many women who take breaks in their employment and work part time in order to raise a family. One thing that is not on my list of goals is buying a house. Many of my friends and family cannot understand this. I hear the phrase from them ‘rent money is dead money’ all the time. This is not true. Interest is dead money. I know I can rent a nicer place than I can afford to buy and will not be paying interest to the bank to do so. I can invest the difference in what my rent is as compared to what mortgage repayments would be for the same house and build up my investments that way. One day in the future my investments will be able to fund my travelling adventures. My friends will own a house that is simply costing them money, not making them money. I know this strategy is not for everyone and if it is your goal to own a house it just should be planned for and structured the right way. When you talk to young professionals about financial planning, the common theme is that it is too hard and they don’t have time to plan. It really isn’t that hard and a little bit of time invested now will pay dividends in the future. Income Solutions have a variety of presentations – Income Solutions for Women, First Steps to Financial Success, Common Sense Investing, and Common Sense Estate Planning. If you want to find out more about us and how we can help you, head to our website and register for one of our free information sessions or simply book a free appointment. By the way, our coffee is so good it’s worth just popping in for that! This post also appears as an article in the latest RUBY magazine. Even as a young child I was quite good at putting aside money and saving for things rather than, as most children do, getting my pocket money and spending it on lollies or other sweets. Throughout my primary and secondary school years I enjoyed maths and problem solving. When I was in year 11 and starting my VCE studies, as one of my electives I chose to study accounting. I also started part time night studies to complete a Diploma of Financial Services, at The Gordon (TAFE). Once I completed VCE studies, I changed to full time at TAFE and before I knew it my Diploma was complete. 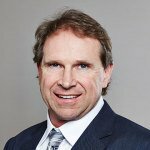 I was having trouble finding a job when a friend suggested to me that I give my resume to David Ramsay at Income Solutions. I was a bit unsure of giving a resume to them, as I had not done much study in Financial Planning. However I was lucky and was asked to come in for an interview. 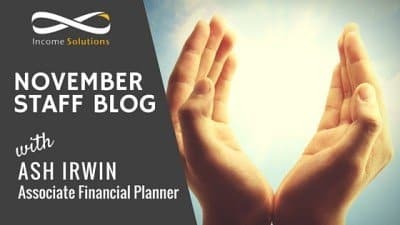 It was my first job interview and was very nervous, but David took me ‘under his wing’ and provided me with the opportunity to study a Diploma of Financial Planning. With the assistance of David and the Team at Income Solutions I successfully completed the Diploma. Even though I’ve always been a good saver, I have learned so much from working here. Income Solutions taught me to invest in myself through study and hard work. I am also building my wealth and on my way to securing a financially stable future. Income Solutions can also do this for you. I know how much effort our staff put into helping clients reach their financial goals and how important it is to provide a valuable ongoing education to our clients. So, why Income Solutions? We think that this “ongoing education” is what sets us apart from other Financial Planning firms in Geelong and Melbourne. Want to find out more about us and how we can help you? We hold regular information sessions every month – so head to our website and register for one of those, or book in for a free appointment with one of our fantastic Financial Planners. Are you looking for a job or know someone who is? Why not have a look at our careers section? I get riled, it irks me, it makes me cringe. Do we really need events specifically targeted at women? As a woman, I have had a successful career which has allowed me flexibility and choices and sees me treated with respect in my workplace – I’m treated the same as any male counterparts in an industry that has traditionally been male dominated. As a mother of two young girls I don’t feel like there are any limitations or restrictions to their future just because they are female. Women remain behind men in the pay scale, earning an average annual gross income of $67,000 compared to men who are paid about $82,500 per year. The Association of Superannuation Funds of Australia tell us that in 2011-12 average super balances were $82,615 for men and $44,866 for women. Women have a longer life expectancy than men. Women are more likely to have breaks in employment or work part time, either caring for children or elderly parents. Women could spend 30+ years in retirement. Put another way, on average a 65 year old woman will spend 25% of her life in retirement. OK, I don’t like to generalise, however we have noticed a trend where women have a tendency to avoid seeking financial advice. This trend doesn’t seem to discriminate – it applies to single women, women in relationships, divorced women, professional women and stay at home Mums. Women are great at being busy. We juggle a lot of roles. We also tend to be competent at managing our households – we definitely seem to have day to day finances under control. The same can’t be said for long term planning – and it’s long term planning that can make the world of difference. All of these factors seem quite grim. So I’m going to earn less, save less and need to fund a longer retirement. On top of that I’m going to ignore the situation and not seek advice. Situation hopeless, right? Wrong. In direct response to these issues Income Solutions have developed a targeted presentation for women, helping to break down the issues and provide solutions. There are so many things that can be done to bridge this gap. Every woman should feel empowered to take control and make a difference to their future financial fitness. 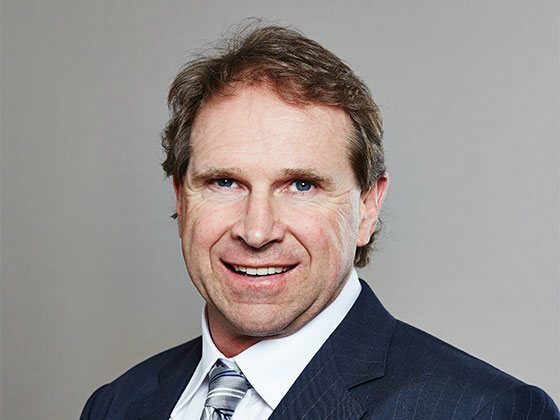 I’m going to quote on of our advisers, Gareth Daniels “It doesn’t matter how much you earn, it doesn’t matter where you are in life – you can make some informed decisions and sensible choices. You really can design a lifestyle that you are passionate and excited about”. Gareth’s comment wasn’t particularly female focused but boy, his message hits the nail on the head! Ivana Trump once famously said “Don’t get mad, get even”. She was of course talking about making her soon to be ex-husband pay dearly in their divorce. Think about it though – getting even is exactly what we want to achieve. Financial equality…….and we can show women how they can create it themselves without the need to marry and then divorce the rich husband! How can women get started if they don’t know where to start and are not likely to seek help? In developing Income Solutions for Women, we’ve made sure the presentation is portable. We know Geelong is full of great businesses and inside these great business are owners and managers that care about their employees and their future. After all, that’s just smart business. Our philosophy at Income Solutions has always centred around education – it is the key to empowerment. 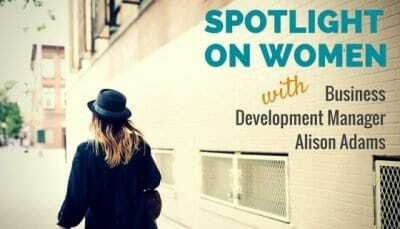 As a result Income Solutions for Women is now available as a work place session. Come on employers, its history in the making! To book a session or to talk about Income Solutions for Women or any of the other information sessions in our range, give us a call on 03 5229 0577, drop us a line to [email protected], or visit our website. I trust you enjoyed the Festive Season and the time spent with family and friends. I certainly enjoyed my short time relaxing at home. This allowed me to catch up on some study and reflect on the year just passed and the year ahead. One of the biggest impacts of 2014 was the damage to our industry’s reputation. The response from the regulator and various enquiries has been to focus on industry education standards and potential conflicts of interest that may exist in the advice chair. Now for 2015, as a business we will continue to focus on client education through the over 60 client education sessions we will run. This will allow our clients to make sound and informed financial decisions. I am proud to say all our Advisers and Associate Advisers are degree qualified; with most currently undertaking some form of further education. Our people are not only highly educated but have our client’s best interests at heart. I observe and hear this every day as they go about their daily duties. 2015 will be Income Solution’s 28th year in business and we look forward to continuing to grow our client’s wealth. To those whom you love. and a safe, happy and prosperous New Year!